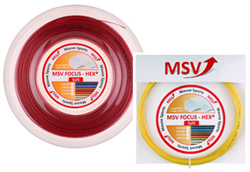 MSV Focus Hex® Award winning Focus Hex is a new generation co-poly string extruded in a hexagonal form. 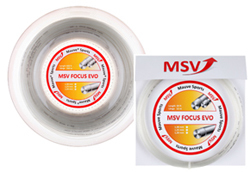 It features solid tension maintenance and long lasting performance.The most exciting advantage of this string is “SPIN POTENTIAL”. 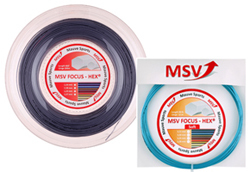 MSV Focus Hex® Soft is a co-polyester monofilament string with a hexagonal profile offering all features and advantages of the immensely popular MSV Focus HEX with a softer feel, increased elasticity and improved tension maintenance. 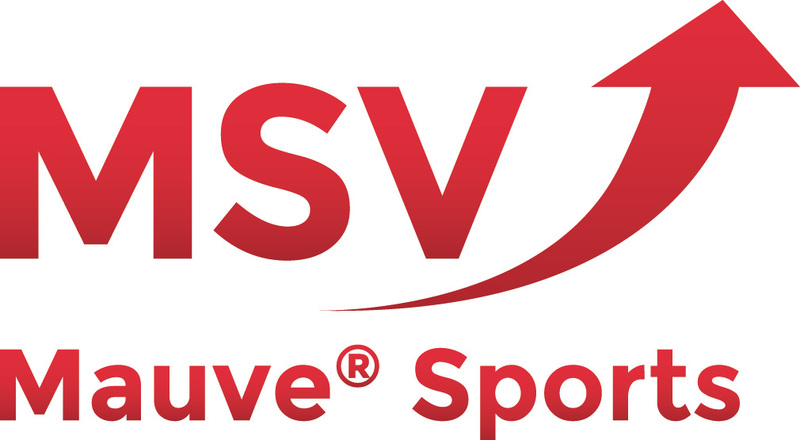 It is a durable performer and if you are after SPIN, this string delivers! PLUS 38 is 38% more elastic than the Focus Hex version and provides exceptional power, without sacrificing control. 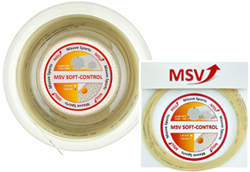 A “comfort” co-poly which can be strung at similar tension ranges to synthetics. 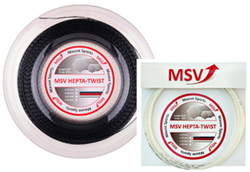 MSV HEPTA – TWIST is a twisted, high performance heptagonal (7 sided) profile string designed for players looking for superior spin, and control. 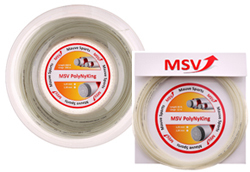 This string is durable with ample power, but with increased elasticity is also easy on the arm. 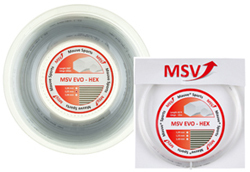 It is suitable for hybrid stringing with a soft multifilament recommended for the cross strings. 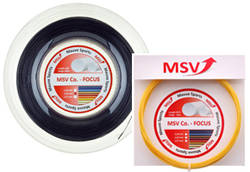 MSV Co.-Focus is an ultra-durable co-polyester monofilament string with a softer feel than conventional polyester strings. It offers great power, precise control and improved tension maintenance. This string makes a great choice for big hitting players demanding maximum durability with a good blend of power and control.